Propane-powered lawnmowers cut carbon emissions by 50 to 70 percent. Propane is not harmful to soil or water and it’s one of the cleanest-burning fossil fuels. Schill Grounds Management has the largest fleet of propane-powered mowers of any commercial grounds management company in Northern Ohio. 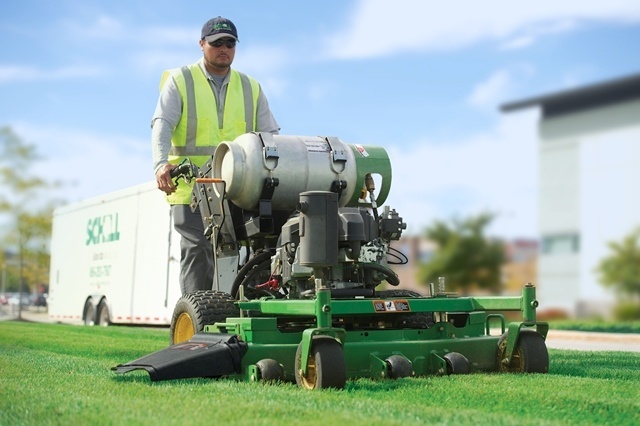 We have already converted more than 40 percent of our mowers to propane fuel. We also source propane locally when possible to reduce dependency on foreign fuels and create local Ohio jobs. Schill also uses fuel-efficient, hybrid vehicles and practices smart fleet management to minimize mileage and maximize the efficiency of our vehicles.